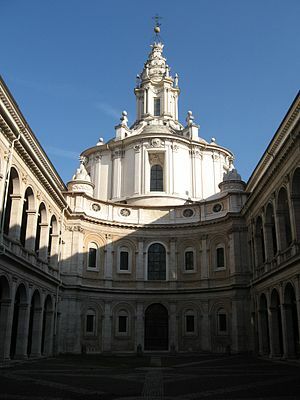 Sant’Ivo alla Sapienza is located on Corso del Rinascimento at the end of the Palazzo della Sapienza courtyard. 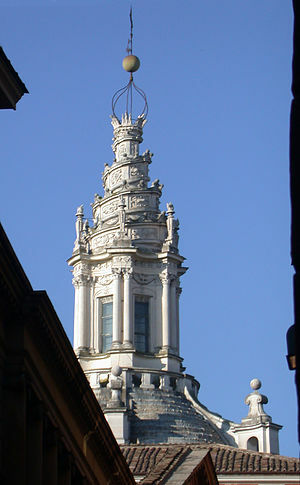 It is the only church in Rome with a corkscrew, twisted spiral spire. The corkscrew spiral was the inspiration for the spire of Vor Frelsers Kirke in Copenhagen, Denmark. 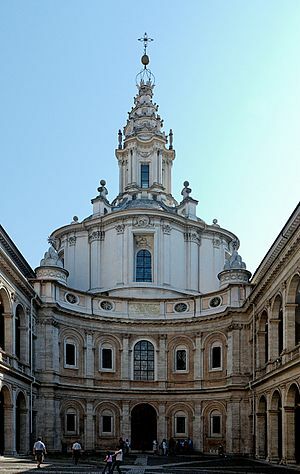 This Baroque church was built between 1642 and 1660 in the ancient courtyard of the Università la Sapienza (University of Knowledge), by Francesco Borromini. This was originally the chapel church of the University of Rome (La Sapienza). Sapienza means “Knowledge” and it was the first university founded in Rome. Click here to watch a video: http://www.youtube.com/watch?v=g0xzXhJ-_-E. The façade is decorated with columns that are incorporated into the walls. 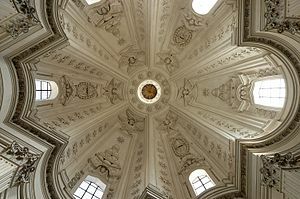 There are semi-circular arched windows which rise toward the spiral capital that is supporting the cupola. 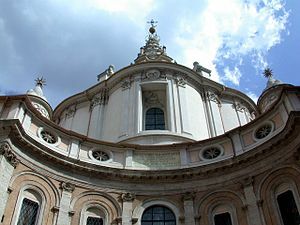 Sant’Ivo alla Sapienza was consecrated in 1660 and was built by the architect Francesco Borromini. 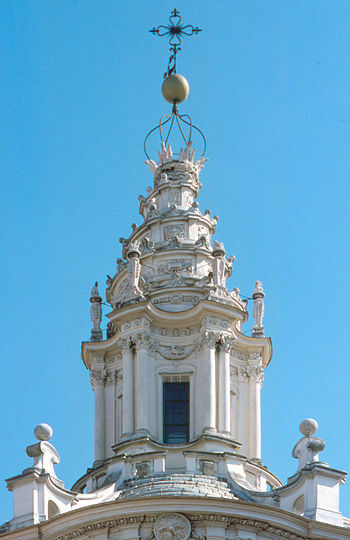 Since one of the distinctive characteristics of the church is the beautiful corkscrew spire on the dome; for 15 years after placing the spire on the roof, Borromini was responsible for it in case it collapsed. Inside the church, you can also admire the portrait of Saint Ives on the altar. The church of Saint Ives was built under the direction of Cardinal Barberini. 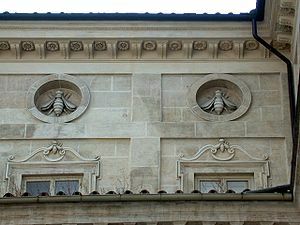 You can observe the Barberini Bees on the facade of the church. 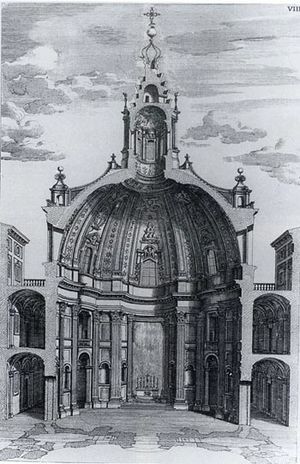 The church began as a chapel of the palace of the University of Rome. 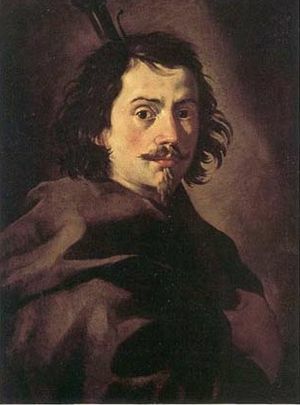 The University is called La Sapienza, and the church is devoted to Saint Yves.